Find Us At Your Industry’s Events. All around the country, across every vertical market, getting out to share our knowledge and meet new people is an important part of what we do. That’s why you’ll find us at key industry events all year long—whether educating as featured speakers, checking out what’s new at a conference or tradeshow, or representing our clients through showcased work. So where have we been lately? And what interesting topics have we been covering? Get the inside scoop on all upcoming and recently featured engagements here. Stevens & Tate’s Internet Director, Nicole Wagner, has been selected to speak at the 5thLeadingAge Illinois Private Duty Symposium in September. Nicole will be presenting “Attract, Convert, Close, and Delight Your Prospects With Inbound Marketing” to the attendees. During this session, Nicole will explain how Inbound utilizes pull marketing – content, blogs, events, SEO, social…. At the Senior Living Conference taking place September 26th and 27th, featured speakers Dan Gartlan and Nicole Wagner will share their senior living marketing expertise. President of Stevens & Tate Dan and Internet Marketing Director Nicole will hold a 90 minute, hands-on workshop where participants will learn how to use social media to communicate with their…. 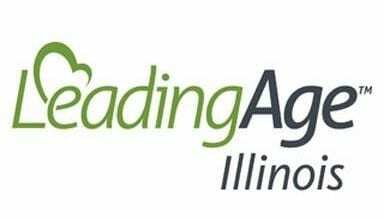 Update: LeadingAge Illinois was another great success. Stevens & Tate President Dan Gartlan was selected to share his senior living marketing expertise as a featured speaker at the conference. Dan led a session titled,“Actionable Strategies Proven to Improve Marketing Results.” Learn how to define your marketing objectives, understand four interconnected marketing strategies you can effectively implement and recognize…. WHO: Suppliers, manufacturers, distributors, and professionals in the metal forming, fabricating, welding and finishing industries—more than 1,500 vendors and 40,000 attendees from around the country. WHERE: Las Vegas Convention Center in Las Vegas, Nevada WHEN: November 16-18th, 2016 DETAILS: FABTECH is North America’s largest Metal Forming, Fabricating, Welding and Finishing event. Stevens and Tate Marketing has two…. WHO: Sales and marketing professionals from around the world WHERE: The Conrad Indianapolis Hotel in Indianapolis, IN WHEN: September 27-28th, 2016 DETAILS: Stevens & Tate will join hundreds of sales and marketing professionals in the manufacturing industry for a featured speaking session. WHO: Healthcare and senior living professionals from around the world WHO: LeadingAge Missouri members and affiliates—part of a national association of 6,000 not-for-profit organizations dedicated to expanding the world of possibilities for aging care WHERE: Chase Park Plaza Hotel in St. Louis, Missouri WHEN: September 12-14, 2016 DETAILS: Stevens & Tate will join thousands of senior…. WHO: Healthcare and senior living professionals from around the world WHO: LeadingAge Tennessee members and affiliates—part of a national association of 6,000 not-for-profit organizations dedicated to expanding the world of possibilities for aging care WHERE: Franklin Marriot Cool Springs in Franklin, TN WHEN: August 8-10, 2016 DETAILS: Stevens & Tate will join thousands of senior living…. WHO: Marketing and Public Relations Society of Senior Housing and Service Professionals in Pennsylvania WHERE: Frederick Living Community, 2849 Big Road, Frederick PA 19435 WHEN: May 6, 2016 DETAILS: Stevens & Tate hosting a special three-hour seminar for senior care services marketing professionals. 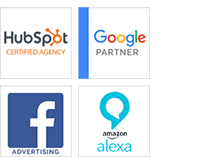 Internet Marketing Director Nicole Wagner is strengthening her presence in the senior living/aging care market—being….